OVERNIGHT WATER RESTRICTIONS will apply to 34 areas in the Greater Dublin Region from Monday. The restrictions, which are categorised at Level 2, will last from 10pm to 5am. 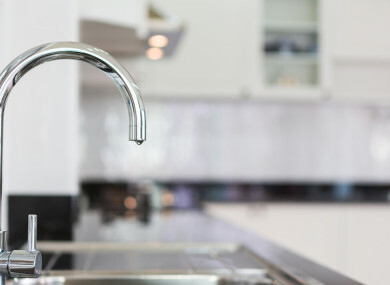 Irish Water says the plan is being implemented in a bid to protect future water supply for homes and businesses and avoid widespread outages in the autumn. These restrictions will remain in place for one week and then be re-assessed. Areas around major hospitals have been protected and pressure will not be affected in those areas. Irish Water explained that the Level 2 restriction will see a reduction in the pressure at night-time to the “minimal that is practical for normal pressure to reach the ground floor of a two storey house”. Most customers will experience low night-time pressures, but no loss of supply. Supply to some customers on high ground and at remote end of networks may reduce to trickle at kitchen sink during those periods. There are already over 25 schemes across the country already on restrictions. These are listed on water.ie. Introducing restrictions was an option that Irish Water hoped could be avoided because of the inevitable impact on homes and businesses. The decision to lock down the restrictions to these areas was not taken lightly. Email “Overnight water restrictions in 34 areas from Monday”. Feedback on “Overnight water restrictions in 34 areas from Monday”.